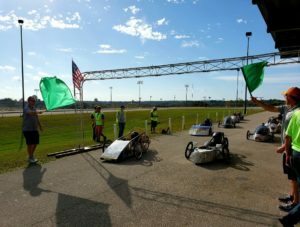 The first ever Electrathon race in Polk County went off without a hitch. 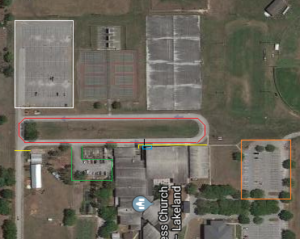 Almost, our Team Sponsor at George Jenkins (James Heuslein) got VERY sick the week of the race and was not able to host/attend, causing a situation, because a School Employee/ Sponsor had to be on campus. The race was cancelled until Charlie and Rodney visited the school on the Friday before the race. 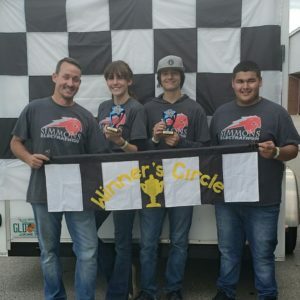 The great staff at George Jenkins (Brad Hiers, AP, Erin Crosby, Dean, and Antwan Carter, Custodian) worked with them and got the race back on track. 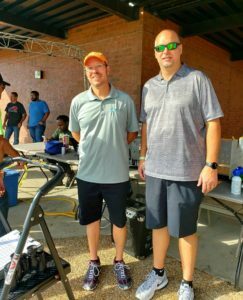 A great BIG THANK YOU to all three of the George Jenkins Staff Members that made our first race in Polk County a success. The track was in great shape with two LONG straights and two 180s. The campus is huge, it was a trick finding the track. I thought I was going to run out of campus before I got there. George Jenkins is a large campus and very impressive. 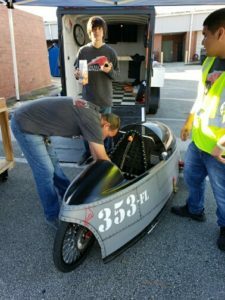 Our good friend from LOWES (Sponsor Rob Nolen) and Polk County School Board Member (Billy Townsend) shared the starting duties for the first race. 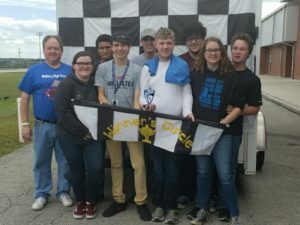 In the High School Class it was a battle between Mulberry High and Simmons Career Center with both schools trading First place finishes in the first and second race. Mulberry had the fastest high school lap at 45.104 second. 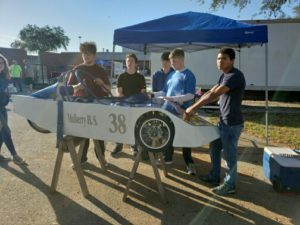 The Simmons #53 car took the overall in High School followed close behind by the Mulberry #38 car and Simmons #353 came in 3rd. Mulberry’s 2nd overall was outstanding considering they had a bad first race with only half the laps of the Simmons #53 car. 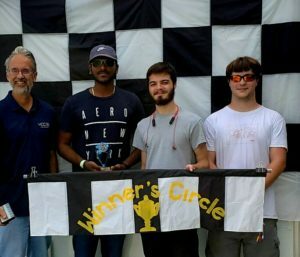 In the Open Class Tiger Racing (Rodney) and Silver Bullet Racing (Robinson) teamed up. 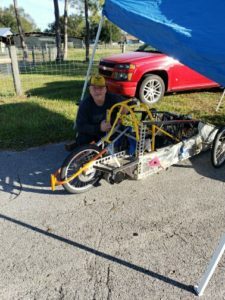 Since Silver Bullet Racing seems to always be out of cars, he sells them almost as fast as he builds them, Rodney brought his old Erector Set car, the original #4 and drove it and Robinson drove Rodney’s new car #4. Robinson won the first race beating Rodney with his own car but Rodney came back the second race beating his own car driven by Robinson. Robinson took 1st Place overall and Rodney took 2nd followed by HCC in 3rd place. In the Advance Battery Class it was the usual suspect. USF car #48 and Pro EV car #39 battling it out. Both cars were turning laps in the mid 30second range with Pro EV turning in the fastest lap of the day at 34.277seconds. 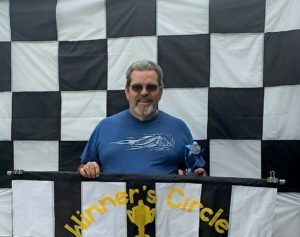 Pro EV took the first race buy 1 lap. In the second race Pro EV “drove the wheels off of that car” bit him again. 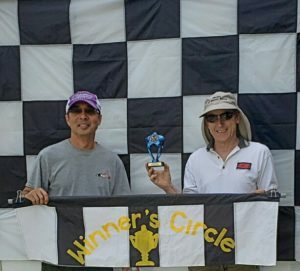 Pro EV took second in the second race after having blown a drive wheel late in the race. USF #132 car was cautious the first race but came out strong in the second race beating Pro EV by 1 lap. High School – 1st Simmons # 53 – 101 laps, 2nd Mulberry #38 – 89 laps and 3rd Simmons #353 – 87 laps. 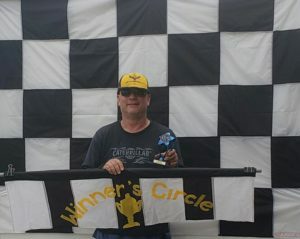 Open – 1st Robinson Racing #94 – 137 laps, 2nd Tiger Racing #4 – 122 laps and 3rd HCC #30 – 36 laps. Advance Battery – 1st USF #48 – 181 laps, 2nd Pro EV #39 – 168 laps and 3rd USF #132 – 131 laps. From The Pits: Overall the cars are looking better with fewer problems during inspection. 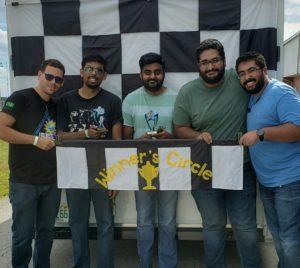 We only had one team blow up a tire in the pits. It makes a large bang when you over inflate a tire and it blows. USF has some really good info on Advance Battery Management and Safety Protocols. If teams check the Electrathon America Handbook they list the Advance Battery options. Looks like you can equip an Electrathon race car for about HALF the cost of Yellow Tops and you only need ONE battery and a special charger, a compatible motor controller, safe securing in car and a battery management system.. You can recharge it between races and it doesn’t have to come out of the car. 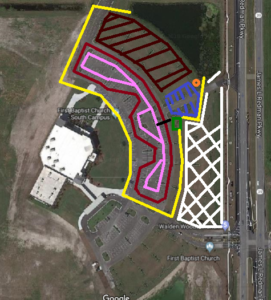 The track layout for the December 8, 2018 race looks like another fast track with “strong left” / “strong right turnsas shown in red.